Why Teaching Kids Read Early Makes Sense? I am an only child, though not a child anymore. My childhood went in search of friendships outside the home, and waiting for the evening to come by to immerse into those rare moments of camaraderie. Our days, the Pre-Appu childhood, was largely supervised by our parents. I do not much remember visiting my friend’s place in childhood. Much unlike my daughter and her friends who keep meeting up in their homes. My friends were kids of my father’s colleagues and we met when they met. Friendships were formed and finished in the children park. The interspersed period of loneliness was filled up by books. It was from Comics to pocket-books to Geeta Press to even, Indian Classics like Ramayana and Mahabharata. They filled up my days of solitude with rare happiness. I was called introvert and adults left me alone. It was an arrangement which we both liked. There was no other arrangement in the view. For some reasons, parents those days did not appreciate reading outside the school syllabus. Pocket-books, detective Hindi novels, were almost like banned books, and reading them something dreadful like drug addiction today. I still wonder why but it did give a sense of adventure as I indulged in Ram-Rahim and Vijay-Vikas on the sly. I do believe it did provide me with a love of language, a flair for style as I would look for the Bernard Shaw’s Arms and The Man and Neruda's Tonight I Can Write Saddest Lines in the class twelfth as a literary friend and not a boring, tiring academic foe. Reading does many things to you, more so, if it finds you early in the life. I do wish at times that if reading weren’t a prohibitive thing in my childhood, likely to impact your school results and your adult obedience, I might have gained much. I might have turned out a much better person with an abundant supply of Shakespeare, Joseph Conrad and Pablo Neruda in early life. Even Roald Dahl and Dr. Suess was something I discovered after becoming a father. Embarrassing but true. I am trying to make up for that gap with my now about to be eight year old daughter. She again is an only child. I can see from her desperation to go meet her classmates and the friend downstairs, that she is plagued with the same blankness, unending emptiness as I was. She needs friends. Books teach us life. It gives us tools to examine, evaluate and resurrect, rebuild our own lives. Long time back Socrates wrote that an unexamined life is not worth living. Books give us eyes to examine life. Every time we do that, we come out a better person. Reading keeps us honest when we evaluate our own lives and gives us knowledge to amend ourselves. It takes special sophistication of soul to be brutal with oneself in such introspection. Unless it is brutal and honest, it is pretense. You end up feeling ugly, feeling helpless and blaming the world, in which case, it is not search for truth; it is search for excuses. When you have a maturity of mind, you turn inward; irrespective and isolated of the world you examine yourself. As they say in scientific postulation, X is given, and X is the world about you, in which case what you would do to make yourself better person is the only variable open to you. Books and reading bring that honesty, that ability to better yourself, to you. It opens a wide panorama, where you look at the world from eternity to eternity spread in front of you, and your own life in the broad scheme of things. Books help us understand conflicting perspectives and what drives them. Thus it helps us accommodate and adapt. 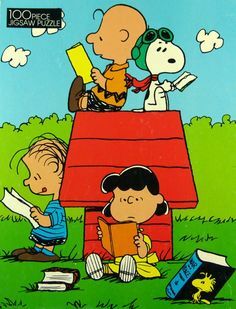 “Reading is the sole means by which we slip, involuntarily, often helplessly, into another's skin, another's voice, another's soul.” Wrote Joyce Carole Oates. So, I, with these ideas, to equip my kiddo with wherewithal to manage the solitude and to manage the life, have begun my work. I do not know what direction her life will eventually take, what choices she will make in her life, reading, I am sure will prepare her for her life-choices, even if they be non-literary. she is now introduced to Roald Dahl and Dr. Seuss, and even occasional Poe (She has come to love “Quoth the Raven, Nevermore”). My cruel conspiracies began with surrounding her with books and telling her stories, selective reading. Since it cannot be outsourced, it also gives us little private time together. She would worry with me while reading The Book Thief and laugh with me while reading The Cat In the Hat, and she would look at me awestruck when Matilda of Robert Dahl would speak names like Hemingway and Dickens. I had no clue when we picked Matilda, but in a subtle way, through the lives of Wormwoods it also will help us understand the fault-lines of modern lives, lived in living rooms in front of television. I remember, googling Robert Dahl and showing his face and his house on google to her. She understood him as real person and was charmed that real people can write such lovely stories. Her interest was kindled. I put her into library, having found BC Roy Children’s Library, next to the ITO, much helped by the metro station, bang at the doorstep. I was shocked to hear the fee- four hundred rupees an year. That translates to one year supply of wisdom at the price of a movie ticket (two hours) in a multiplex. It is a pity that such treasures are unknown and ignored by people. And the bigger treasure, for a father, travelling in the Metro, biggest Father-daughter time than any weekend resort trip, as many things the non-stop chatterbox tells you while traveling in public conveyance. It is true that books are very good source of knowledge for children. They help them develop or improve the command over language, mastery of communication, more logical thinking skills and concentration. 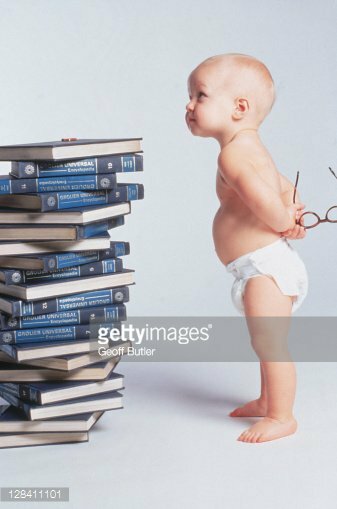 However you will also agree that only keeping to books might make children introvert and can be seen as theory oriented knowledgeable person. I would like to add other dimensions n sources of gaining knowledge as a continuation of your blog. In addition to books there are other sources of knowledge like interacting with people n socializing.The opportunity for social interactions with others is very important for the development of all children. Through social interactions, children begin to establish a sense of “self” and to learn what others expect of them. When playing with others, children learn appropriate social behaviors, such as sharing, cooperating, and respecting others. In addition, while interacting with their peers, young children learn communication, cognitive, and motor skills. Children who learn appropriate social skills often have a higher self-esteem and show a greater willingness to interact confidently with their environment as they grow. Another source of knowledge which I believe is equally important is traveling when young as it can be a great platform to diversify your experience early in life and to discover what your purpose in life is. Each country, each city, even each restaurant you might visit is an opportunity to experiment something different. It’s always good to compliment your “school smart” with some “street smart”, and there’s no better way to do this than traveling. Traveling teaches you a wide variety of things that can be applied to your daily life –from the most banal to the most indispensable. When you travel you get exposed to different cultures that can have a direct impact in your life. Your tolerance will grow as you experiment them, and in many cases, you’ll learn how to see things from a different perspective. You’ll learn to develop your independence and how to be responsible. Traveling changes the way you relate to the world. Traveling empowers you to take on new challenges. Traveling makes history come alive. The stories are no longer pictures in a book, but tangible memories you remember much longer than anything you could study in school.